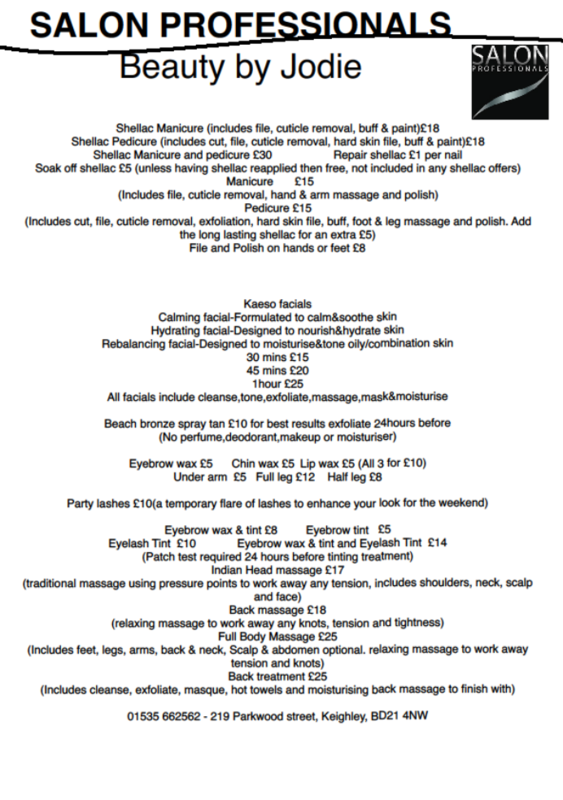 We have a selection of beauty treatments available in the salon from Thursday to Saturday carried out by Jodie Sutcliffe, our salon beautician. Jodie has been working at the salon since Christmas and has over six years experience. The beauty room is open Thursday to Saturday and open late until 8 on a Thursday.